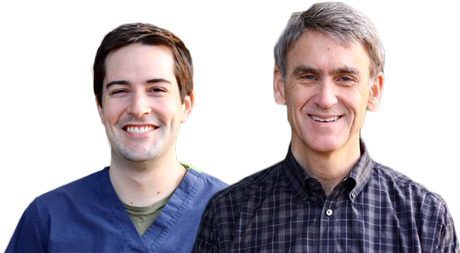 Welcome to the website of Martinez, Grovetown, and Augusta, GA dentists Dr. J. Perry Davis and Dr. Billy Ferguson, general dentists who treat the entire family. Our practice opened in 1987 and since then, we have provided excellent, comprehensive dental care to patients of all ages. We’ve all heard the saying that you never get a second chance to make a first impression. Because a person’s smile is the first thing many people notice, it stands to reason that you want to do everything in your power to keep your teeth healthy and looking great. We agree, and we’re here to help you keep your smile bright and your teeth healthy for a lifetime. Maintaining your dental health in an environment where you feel valued and well cared for is our top priority. We offer the latest in advanced procedures and technologically advanced tools to aid in providing the least invasive, most effective treatments that help preserve your natural teeth. We invite you to look through our website, where you will find information on preventive dental treatment, cosmetic dentistry options and other information about the wide array of services we provide. We accept most major insurances and offer a variety of convenient payment options for your convenience. We know you are busy, so we make the most of your time with us by providing new patient forms on our site that are available for downloading and completing in advance of your first appointment. 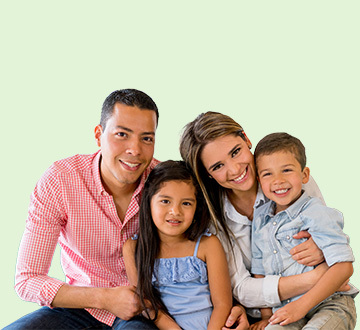 If you are interested in establishing a relationship with a dentist in Augusta GA who will treat your entire family, please call us today for more information or to set up an appointment. Appointments are available Monday through Friday, 8 a.m.- 4 p.m.
Professional and caring doesn't begin to describe this dental office or its staff. Dr. Davis, Dr. Ferguson and the whole crew (staff) are very understanding, shows kindness, always... Explains what needs to be taken care thoroughly. Gets to know each patient as a person. I am a new patient at this practice (only two visits so far), and I have been very happy. The entire staff has been friendly, patient, very thorough, and willing to answer questions. I'm very pleased I made the switch to this office and would recommend it to friends and family. The staff here is so kind and clearly knowledgable. They go way out of their way to help you. Dr. Ferguson is so kind and funny and great with children! I will only take my family here. Perhaps the finest dentist I have ever been to. Service is friendly and professional. I like the care I receive from him and his hygienist. The care I receive is thorough and Dr. Davis takes the time to go over every procedure I need.